Rather than new features, macOS Mojave added Dark mode that allows you to focus more on your work. The Dynamic Desktop may help you deal with changes in light during the day (and night). Quick Actions and Gallery View improve how you use your Mac. Apple has also added some new privacy features and requirements for the App Store that were already in place for iOS. The Internet is the best source for help with your challenges other than Mac user groups. Apple — the place to start for Mac products and information. Apple Services Status — status of Apple services in the cloud. The Mac provides a stable platform for those that dislike the direction Microsoft has taken with Windows 10 or those that need to run both Windows and Mac on the same machine. The integration with iOS devices like the iPhone and iPad make it even more attractive if you run those devices. You can even run Windows on a Mac by using Boot Camp or on a virtual suite like Parallels. Should you switch? Have a look at When replacing your Windows 7 PC: Should you switch to Windows 10 -- or a Mac? There are online resources and books to help you in the transition. macOS. It’s why there’s nothing else like a Mac. New to Mac includes how to set up your new Mac and tips for Windows switchers. Move your data from a Windows PC to a Mac from Apple. Use your Apple Keyboard in Windows with Boot Camp from Apple. Which Mac to buy? 10 tips to help you decide. How to move from PC to Mac from Macworld . How to switch from PC/Windows to a Mac as painlessly as possible. A complete beginner's guide to macOS: Get started in just 1 hour. 7 Advantages you probably don't know about switching to Mac from PC. 20 Apple keyboard shortcuts business users need to know. Amazon has several books about switching from a PC to a Mac. You need to be running security (antivirus) software on your Mac. Once of the reasons people love Macs is because of the relative lack of security vulnerabilities compared to Windows. However, reports are increasingly appearing (PDF, 2016) about malware and viruses infecting Apple computers (as well as the ever-more-ubiquitous hand-held devices). With the increased popularity of Macs has come a new set of security threats (see sidebar). Mac OS X isn't safe anymore: the crapware / malware epidemic has begun. 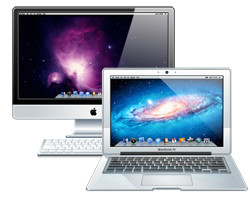 Mac internet security threats show malware aimed at Mac is rapidly increasing. Mac OS X in the crosshairs — 18 malware scanners put to the test. A data-stealing Trojan aimed at Mac users. Do not click on links sent via email and be wary of websites or sudden warnings that “you're infected.” Know how your security software provides protection and alerts so you can identify fake warnings. Be aware of what you're sharing on social media sites and how it could affect your security and privacy. I strongly recommended that you install security protection onto your Mac. Macintosh OS X Security: Understanding the platform and usage (second lesson and third lesson). Apple security updates direct from Apple. Tips and tools to help Mac users protect their data and communications. You'll find a listing of Mac security software in the software section. These news sources will keep you informed about what is new and upcoming regarding the Mac. 62 OS X El Capitan tips and tricks. Switch to Mac: How to find your favorite Windows features in OS X.
Info-Mac the original Mac online community. FAQs.org — Macintosh — various FAQs for the Mac (last updated 1995). apple-history.com provides information on Apple computers and products by date, family and processor type (last updated 2015). Info-Mac Archive (last updated 2007). Feeling nostalgic or curious about early Macs? Making the Macintosh: Technology and culture in Silicon Valley is an online project documenting the history of the Macintosh computer. Macs are very reliable, but sometimes things go wrong. MacIssues — how to use, troubleshoot, and repair your Mac. MacIssues on Twitter (@mac_fix_it) has news and troubleshooting for Macs, OS X, iPods, iPhones, & more. Apple Apps Support — all the topics, resources, and options you need for Apple apps. If you cant send or receive email on your Mac. Isolating issues in Mac OS X provides a methodical approach to determining the source of software (and hardware) issues. Office Mac Help is a resource for Microsoft Office on the Mac. Apple has a Force Quit option for programs that don't respond to a normal shutdown request. This should be your last resort option. How to force an app to quit on your Mac — Apples guidelines. 6 ways to Force Quit Mac applications. Traditionally, the only option for a hard drive was a spinning magnetic platter. Today, SSDs have changed that but you need to be aware of the risks and benefits of each choice. Mac Fusion Drive vs SSD vs hard drive: Buying guide. How to recover data from damaged Mac or external drive. If your hard drive fails, you'll lose all your data and perhaps the information necessary to recover your computer. Backing up your Mac stores that information so that you can recover. You might want to read a bit about backups to fully understand the main concepts and risks. Restore items backed up with Time Machine. How to restore Mac files from Time Machine. How to back up Mac — the four best data backup methods for Mac users. The best backup software for Mac 2018 — alternatives to Time Machine. How Time Machine and other backups handle email. How to back up your Mac OS Mail folder. Restore mailboxes and their content. How to manually restore your Mail folder from Time Machine. How to recover a Mail folder from Time Machine in macOS. How to recover files using Time Machine, including email. How to back up or copy your Mac OS X Mail Address Book. Apple downloads page lists Apple's products. The The Apple Store app (download via iTunes) provides a more secure source for software. If given the choice, look there for apps. MacUpdate provides ratings and discounts. You need to be running security (antivirus) software on your Mac. The effectiveness of security programs varies. See this not all products as effective. The best antivirus software for MacOS home users (June 2018) by AV-Test, the folks that test security software. 12 antivirus solutions for MacOS Sierra put to the test ( by AV-Test July 2018) test 8 home products and 4 business products. Best antivirus software and apps 2019 from Tom's Guide . Kaspersky Internet Security offers both the lowest system impact and some of the best malware-detection rates recorded. It even provides extra security features, including parental controls and options to lock down your webcam and stop websites from tracking your browsing activity. If you're willing to pay to protect your Mac from malware, Kaspersky Internet Security is the best option available. Avast Free Mac Security caught 99.9 percent of all malware, packs in a password manager, barely leaves a smudge on system impact and doesn't charge a dime. If only it caught 100 percent of malware, as Kaspersky did. Bitdefender Antivirus for Mac is one of only a few solutions we tested that offers perfect malware detection. Further, its modern, streamlined interface places on-demand scans front and center. Last year's winner dropped from first place, though, because its system-impact scores didn't match the flawless marks posted by Kaspersky. Norton Security Deluxe may offer excellent protection, but it charges more (after the first year) than its competitors do, without offering as many perks. Still, always-on-call customer support is a nice thing to have if anything ever goes awry. OS X's built-in firewall provides only inbound protection. There is no outbound protection and provides no additional protection if you're behind a router. Little Snitch provides both incoming and outgoing firewall protection and includes a network monitor. Affinity products are extremely powerful and very reasonably priced. Affinity Photo (CA$69.99, no subscription) is professional photo editing software for the Mac. In the works for 5 years, it has an incredibly intuitive interface. System requirements. Affinity Designer (CA$69.99, no subscription) is professional graphic design software for the Mac. Affinity Designer won the 2015 Apple Design Award, “honoring outstanding design and innovation.” System requirements. Safari Browser is the Mac OS X default web browser and supports the latest standards and features. Firefox Browser is available for Mac OS X 10.2.x and later. iCab Browser. This alternative browser for the Mac is highly customizable and includes image filtering, which eliminates banner ads. iCloud includes email, calendar and more. Available for OS Lion 10.7.2 or iOS 5 or better. Mozilla Thunderbird is available for Mac OS X 10.2.x and later. Not recommended for large amounts of mail. Installing Thunderbird on Mac works fine in spite of the older images. Postbox (US$9.95) may provide a Thunderbird alternative to those looking for something similar but with more features. Our favorite Mac mail clients — Macworld . The 8 Best Free Email Clients for Mac in 2018 — Lifewire . Best Mac email clients of 2018 — Macworld . Interarchy professional Mac FTP (US$64.00). FileZilla is a free cross-platform graphical FTP, FTPS and SFTP client with many features. Manager is free accounting software that runs on Windows, Mac and Linux. It includes modules such as cashbook, invoicing, receivables, payables, taxes and comprehensive financial reports. The Desktop edition doesn't support multi-user capabilities. If you require multi-user access, you will need to sign up for Cloud edition and your data will be stored in the “cloud” rather than on your computer. VLC media player is a free and open source cross-platform multimedia player and framework that plays most multimedia files as well as DVD, Audio CD, VCD, and various streaming protocols. LibreOffice and Apache OpenOffice provide the core features of Microsoft Office and both are free to download, use, and distribute. More on the differences and history here. LibreOffice runs on Windows, MacOSX, and Linux. Java is required for certain features of the software. The Mac OS X requirements have been included below. macOS 10.9 (Mountain Lion) or higher. Up to 800 MB available hard disk space. 1024x768 graphic device with 256 colors (higher resolution recommended). Apache OpenOffice runs on many operating systems including Windows, Linux and Mac OS X. Java is required for certain features of the software. The Mac OS X requirements have been included below. Mac OS X 10.4 (Tiger) or higher. 400 MB available disk space. 1024 x 768 or higher resolution with 16.7 Million colours. Both LibreOffice and OpenOffice will run without Java for most users but certain features depend upon Java, particularly the database program. Java is known to make Windows insecure. Mac and Linux users now share that vulnerability by running Flash and Java. Remove Java if you don't need it. If installed, be sure to frequently update it and to remove older versions. Download Java. | Test your current Java installation. | Learn more about Java. See Oracle's Java Downloads for All Operating Systems page for information specific to Mac OS X.
Able2Extract Professional (US$149.95) (free to try; US$149.95 to buy) is a powerful professional PDF program that allows you to do almost anything with PDFs. Strongly recommended. See my review for details and full system requirements. BBEdit ($49.99 USD) is an excellent HTML text editor. Notes, the Mac OS X built-in editor, was improved greatly in El Capitan, but you might find one of these products better for your needs. TextWrangler is now free, and considered the replacement for BBEdit Lite. There is a TextWrangler FAQ that should answer questions about the intended market for this product and the advantages of moving to the full-featured BBEdit. BBEdit Lite is discontinued. There is still a download available here, which you'll need if you are not running OS 10.
iA Writer ($9.99) requires OS X 10.9 or later, 64-bit processor. Best writing apps for Mac. Your Mac has utilities built in that do much of what is done by these third-party utilities, but sometimes they simplify the process. When deleting files, be careful to avoid system files and files related to programs as they may not run properly (or at all) if you do). Duplicate files on the system may be named the same but used for different purposes. CCleaner for Mac protects your privacy and makes your Mac faster and more secure. CleanMyDrive 2 is great for copying files to thumb drives including removing hidden junk files from external drives. AVG Cleaner tracks down forgotten duplicate files. AppCleaner can help uninstall apps that distribute many files throughout your System. StuffIt Expander opens compressed RAR and ZIP files. Deliver2, the home of games on Linux, Mac & Windows PC. Twitter updates. See Apple Product Security for an overview of Apple's security and Apple Security Updates for a listing of fixes. Reports are increasingly appearing about malware and viruses infecting Apple computers (as well as the ever-more-ubiquitous hand-held devices). SecureMac Computer security news just for Macs. Macintosh user groups provide a place to interact with other Mac users, to ask questions and socialize. There are often special interest groups (SIGs) that meet regularly to discuss specific topics. Victoria Macintosh Users Group (VMUG). Apple User Groups gives information about user groups and provides help to user group leaders. Apple User Group Resources allows you to Find a Group nearby and a User Groups FAQ. or check the resources index.